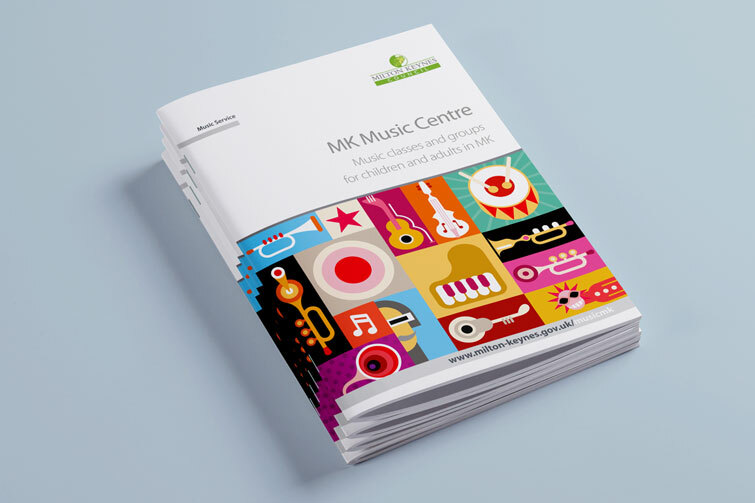 TravisBead has been working with the Milton Keynes Council’s Music Service on new branding and marketing collateral. Working with the Council’s brand guidelines we’ve created a fun, vibrant and organised guide to all the courses offered by the Music Service and then rolled it out to signage, posters, postcards and more. 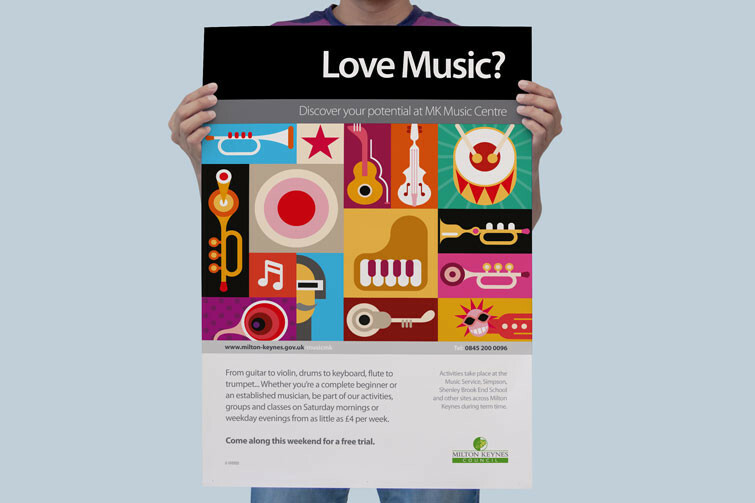 We've really enjoyed this project and the Music Service are delighted too. Sue Wakley comments, "I have just finished working with TravisBead and it has been a great experience. 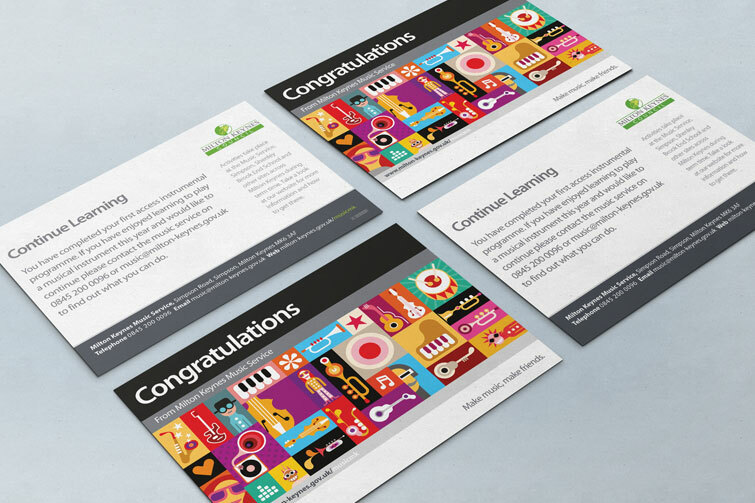 They completely understood the needs of our organisation and worked hard to ensure that the material produced really reflected our wishes. 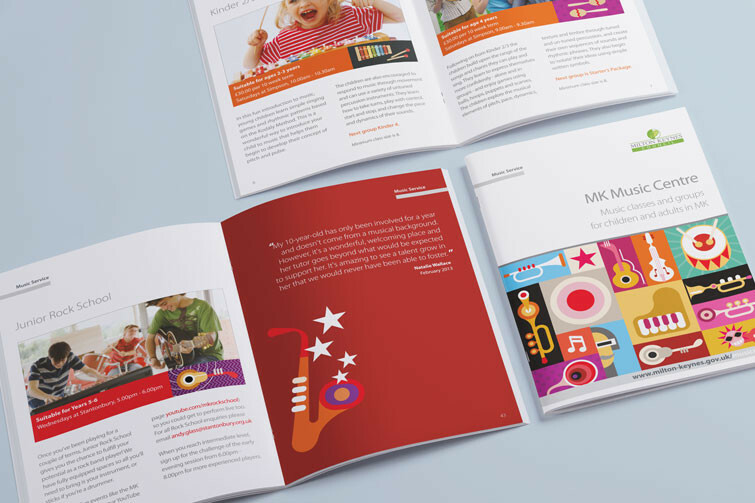 We have a finished brochure which is fantastic and completely creates the mood of our service."